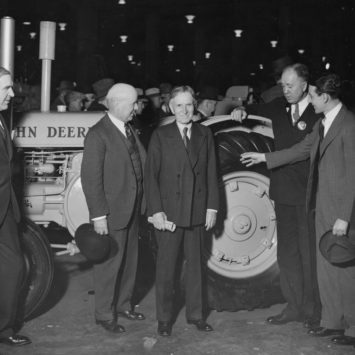 Built 81 years ago, the "DI" was John Deere's first production-build industrial tractor. 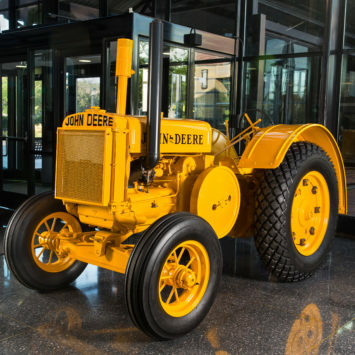 If you recently visited the John Deere Pavilion, you probably noticed a new addition to the exhibition floor, a restored 1935 Model “DI” Tractor. Though much smaller than contemporary industrial equipment, few tractors have left a greater mark on John Deere than this model. Manufactured in the summer of 1935, the “DI” was the first production tractor sold to the public. John Deere tractors are utilized in many industries outside of the agricultural market and for years, customers requested specialized options to fit their unique needs. 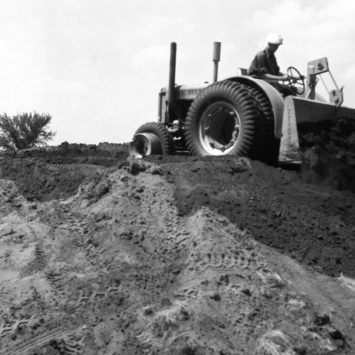 Prior to 1935, John Deere provided specialty options making agricultural tractors better suited for the construction industry. After years of increased demand for these specialized products, John Deere created the Industrial Equipment Division in 1956. This decision eventually led to what is known today as the Construction and Forestry Division. You can come see this and many other pieces of equipment from across the company’s history at the John Deere Pavilion. 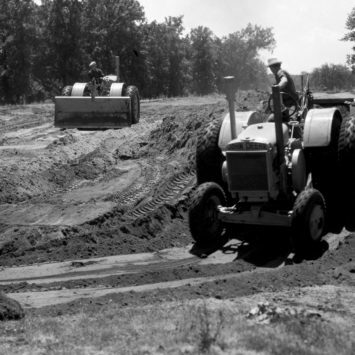 A John Deere Model "DI" Tractor grading a rugged, dusty road. 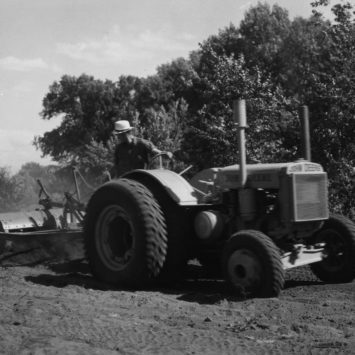 Model "DI" Tractors were equipped to handle the rigors of construction work. A farmer and his Model “DI” Tractor pulling rotary scraper, 1936. A Model "DI" Tractor with LeTourneau rear-end bulldozer. On display at the 1936 Wichita Show. Shown in photo: Mr. J.F Cast, Manufacturers, Sales Manager, Firestone; Mr. Silloway; Mr. Firestone; Mr. Wiman; Mr. Leonard Firestone, Trade Sale Manager; Mr. J.W. Thomas, President, Firestone. The 1935 Model “DI” serial number 123172 currently on display at the John Deere Pavilion. This tractor is the first official industrial tractor sold to the public. It was originally shipped to a dealer in Jackson, Miss. Mon. – Fri. 9 a.m. to 5 p.m.
Do you like vintage tractors? If you enjoyed reading about this classic tractor you might also like reading one of the stories below.